With the news of QuentinTarantino’s upcoming movie The Hateful Eight being shot in 70mm, I thought of writing this article about it.So before proceeding any further,you just need to know the basics about video quality and answer to the question, “What the 720p, 1080p ,1080i stands for?”. I would like to state the basics that 70mm is different from all and is quite the latest thing to be joining the video recording methodology.Yup, that being said, lets jump right into it. So to bluntly put it, every movie being shot is shot by a motion picture camera and is recorded over the photographic film. Normally, the photographic films are of variable sizes starting from 8mm,16mm and ending with 35mm. As sweet as sugar,this makes clear that 70mm movies are being shot photographic film of 70mm. A special camera(heavy and very big in size) has different optics arranged in such order that it is capable of recording the motion picture(video) maintaining the aspect ratio of the video anything from 2.2:1 to 2.7:1. This drastically increases the size of area being captured in each and every frame i.e literally the physical captured area is way bigger than the normal.Typically, this wont be much of a difference on the laptops and single screen desktop, but, in theatres offering huge rectangle screen this is really something else. When we say that a video is 1080p, it means the video is having a horizontal and vertical dimension as 1920 and 1080 resp.These videos being shot are in 35mm camera. As of now the same 35mm camera is also able to shoot beyond 1080p thus giving rise to 2k and 4k resolutions.With 70mm an image of 8k resolution can be achieved(Just making a wild guess here). In reality because of the rendering methods.video optimization processes, archiving ,scanning and mastering anything between 6-7k resolution or maybe even 8k can be achieved(Who knows!! Fingers crossed).6k UHD(ultra high definition) is the highest resolution known to mankind.PERIOD. 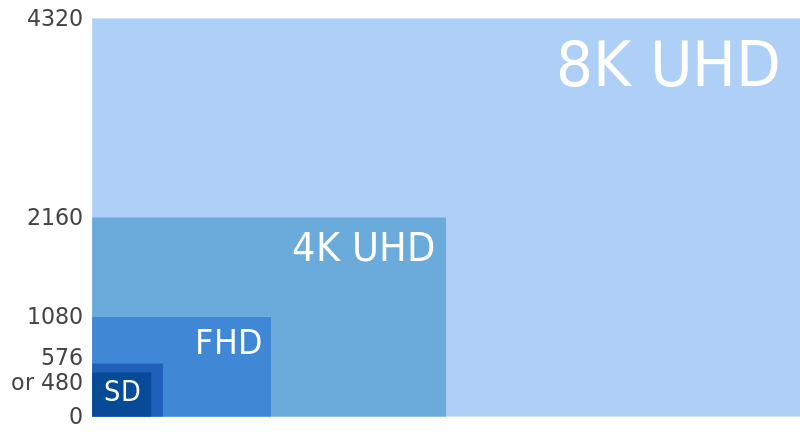 So when compared to 1080p which you watch on your laptop/desktop, 70mm video(8k) will have 4times for horizontal and vertical detailing. (Yup,4 times). Due to its immense size and video recording capabilities the output provided by this is also MONSTROUS!! Recently shot Nolan’s Interstellar had 1hr of 70mm footage. Nolan also mentioned in an interview, that he had to specially pay attention to what he had to show in this huge amount of screen size. That 1 hr of 70mm recording supposedly was captured in 49 reels and weighed approx 300kg. So generally, part of movie is shot in 70mm and remaining in 35mm. On the other hand, a part of 7th installation of Star Wars(release date:18th Dec) is being shot in 70mm. Hope this article helps you to know what’s what before booking the ticket.